These are heady times for Galway outfit St Thomas'. Going into the 2012 season, they'd never won a county senior title but on Sunday, they go in search of a second All-Ireland crown. 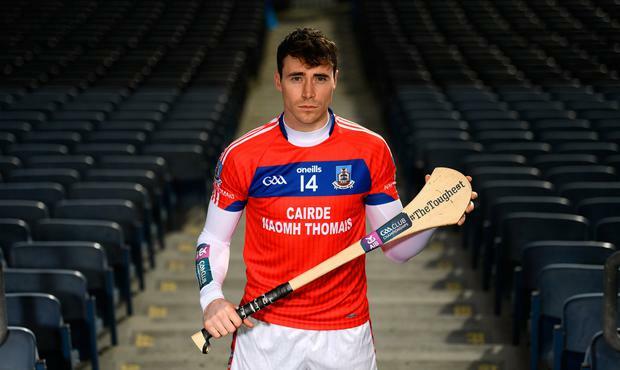 And that's something that captain and Galway star Conor Cooney is well aware of as he and his St Thomas' team-mates try and wring every drop from their golden era ahead of the St Patrick's Day clash with Ballyhale Shamrocks in the All-Ireland club SHC final. "I think we're very fortunate the group of players that we got together," Cooney reflected. "Just for ourselves, it's a small window of opportunity to get the most out of it. I mean, you could get injured and get two more good years and that could be it. So, you absolutely have to make the most of it and try and win everything you can while you can. "It was 2013 when we were here (in an All-Ireland final) last - and we might never be back, we might never get the chance again. So, look, we're going to grab it with both hands. We're not really focused on past Paddy's Day at all; we're not thinking about what we can do in the future or anything like that. We're just thinking we've a good team now, we're going to put the shoulder to the wheel and try and get a win on Paddy's Day and see what happens after that." The club celebrated its 50th anniversary last year and marked it with a second Galway crown in three seasons but all around him, Cooney sees the squeeze coming on clubs in his part of the world. St Thomas' are, he fears, are the exception rather than the rule. "I think it's a wider problem maybe in the GAA itself. Particularly in rural Ireland, there's less and less facilities, there's less money being made available. "I suppose there's so much strength in Dublin, and I know the debate is ongoing about the support that Dublin get, or the funding that Dublin get, and it's disproportionate. So, yeah, I think the GAA definitely has to look at maybe putting more resources back into rural Ireland. "And maybe, as a broader society, we need to look at supporting rural Ireland more because it's on its last legs really, the way things are going. "You see more and more amalgamations throughout the county, throughout the country. "I think it's an issue that needs to be dealt with and I think people are maybe turning their heads and ignoring it and hoping it will fix itself. But realistically it's not (going to be fixed) if administrators don't act." And while the St Thomas' club is going well at the moment, Cooney only has to look at their neighbours to see how things can turn with former All-Ireland club champions Kiltormer now amalgamating at underage level. "I think of local clubs near us. Kilbeacanty would be our next-door neighbours and they traditionally would be separate from Beagh - and they're amalgamated at underage level now. You've Mullagh and Kiltormer, who traditionally would have a good rivalry - and they're amalgamated at underage. "You have more and more of that. Look, it's there, plain to see, that it's happening more and more. While rural clubs are in decline, urban clubs are maybe getting stronger and stronger."